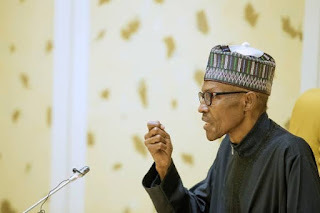 President Muhammadu Buhari has assured Nigerians that the All Progressives Congress, APC, will fulfil its promises ahead of the 2019 presidential election. He was quoted as saying this in a statement signed on Wednesday by his Senior Special Assistant on Media and Publicity, Garba Shehu. He said the APC was poised to free Nigeria from corruption and poor governance; adding that plans were underway to form a full campaign council towards the party’s victory in 2019. The statement reads: “President Muhammadu Buhari says he will soon bring all speculations to an end by naming a Presidential Campaign Council (PCC) to lead the All Progressives Congress, APC, to victory in the February 2019 general elections. “The President says he is aware of the yearning by Nigerians for the formation of a full Presidential Campaign Council towards the APC’s victory in the presidential elections. “For now, the President and the party executives are focused on the APC convention scheduled for Saturday, October 6. The Presidential Campaign Council will be put in place after the convention. There has been no response to "2019: We’ll not let Nigeria down - Buhari"